It's been a long time! I started this piece way back in May or June maybe? After a long summer of planning art shows and exciting times of opening a new gallery I have finally gotten back to the drawing board. 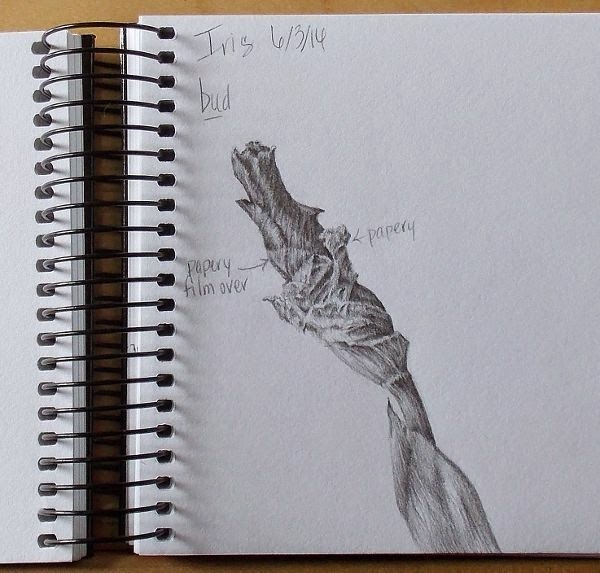 I thought I would share the process of drawing "Iris". The first step, after observation, was to do several studies, both in color and in graphite. 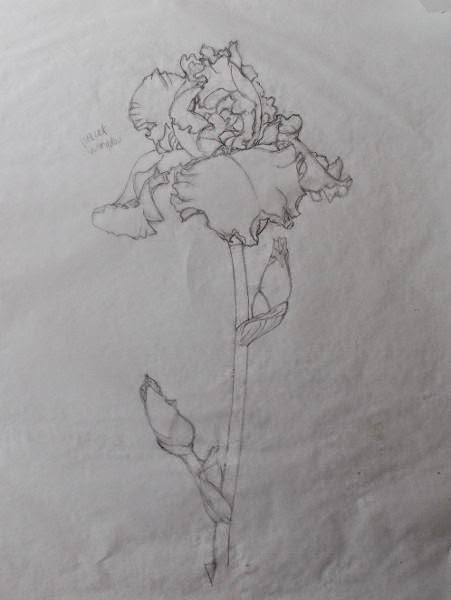 I also took many photographs as the flower would not be lasting until I was finished with the drawing. Next, I made a line drawing of the final composition on tracing paper which I transferred to my "good paper" (Fabriano Artistico hot pressed w/c paper). I begin to lay in the values with gray colored pencils in the darkest of shadows. And then the fun begins by adding color. Beautiful! Have you finished it? Thank you, Tari. :) No, I haven't finished yet. We opened a gallery a couple of months ago and it's taken most of my time to get it up and started. But we close for the winter in a couple weeks and I'm looking forward to getting back to "Iris". I will for sure post it when I am finished.